Reports were swirling around former San Francisco 49ers quarterback Colin Kaepernick, who took a knee last season in protest of racial injustice, claiming that the once-active player would no longer protest if a team decided to hire him. A segment on Sunday’s "The NFL Today" between CBS NFL insider Jason La Canfora and anchor James Brown, led to reports that the former quarterback would give up protesting the national anthem in exchange for a potential position on an NFL roster. James asked La Canfora about Kaepernick and the protesting: "And kneeling, he said?" "He's not planning on kneeling. He's going to donate all his jersey sales and he's planning on standing for the anthem if given the opportunity, J.B.,"La Canfora replied. La Canfora met with Kaepernick, his girlfriend and his trainer on Saturday night and discussed different topics, CBS reported. In a succession of tweets, La Canfora attempted to clear things up, saying he was just relaying the previous reporting about Kaepernick and did not ask the former San Francisco 49ers quarterback if he would kneel, sit or stand during the national anthem. Kaepernick took to social media and simply posted a quote he attributed to Winston S. Churchill, in response to the reports. "A lie gets halfway around the world before the truth has a chance to get its pants on. Winston S. Churchill," he tweeted. Controversy surrounded the 29-year-old football player after he sat during a preseason performance of "The Star-Spangled Banner" in symbolic protest of the treatment of African-Americans in America. 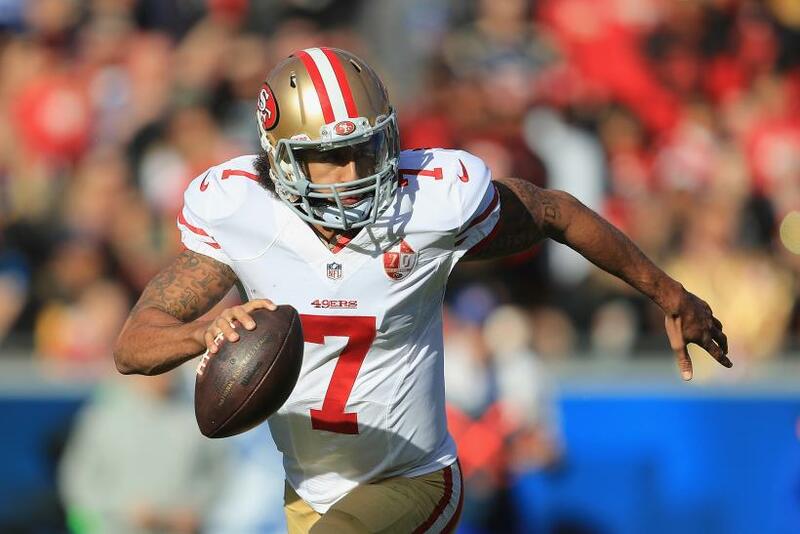 Last year, Kaepernick opted out of his contract with the 49ers in free agency and has yet to be picked up by a team. "I am not going to stand up to show pride in a flag for a country that oppresses black people and people of color," Kaepernick told NFL Media in August 2016. "To me, this is bigger than football and it would be selfish on my part to look the other way. There are bodies in the street and people getting paid leave and getting away with murder"
Some NFL players also protested during the 2016 season, getting a mixed response from fans and the public, with some in support of it, and others against it. President Donald Trump later acknowledged Kaepernick’s crusade last month at a rally in Alabama when he criticized NFL players who decided to protest during the anthem, suggesting owners fire them. In response to the president’s words, more NFL players protested during the anthem. Some owners locked arms with players and their teammates and some kneeled. Several teams also decided to stay in the locker room during the ceremony. Trump wasn’t the only politician upset by the protests. Vice President Mike Pence exited a game between the Indianapolis Colts and the San Francisco 49ers on Sunday after players took a kneeled during the anthem. "I left today's Colts game because @POTUS and I will not dignify any event that disrespects our soldiers, our Flag, or our National Anthem," Pence explained on Twitter. I left today&#39;s Colts game because @POTUS and I will not dignify any event that disrespects our soldiers, our Flag, or our National Anthem. Trump later tweeted that he asked Pence to vacate the stadium. "I asked @VP Pence to leave stadium if any players kneeled, disrespecting our country. I am proud of him and @SecondLady Karen," he wrote.